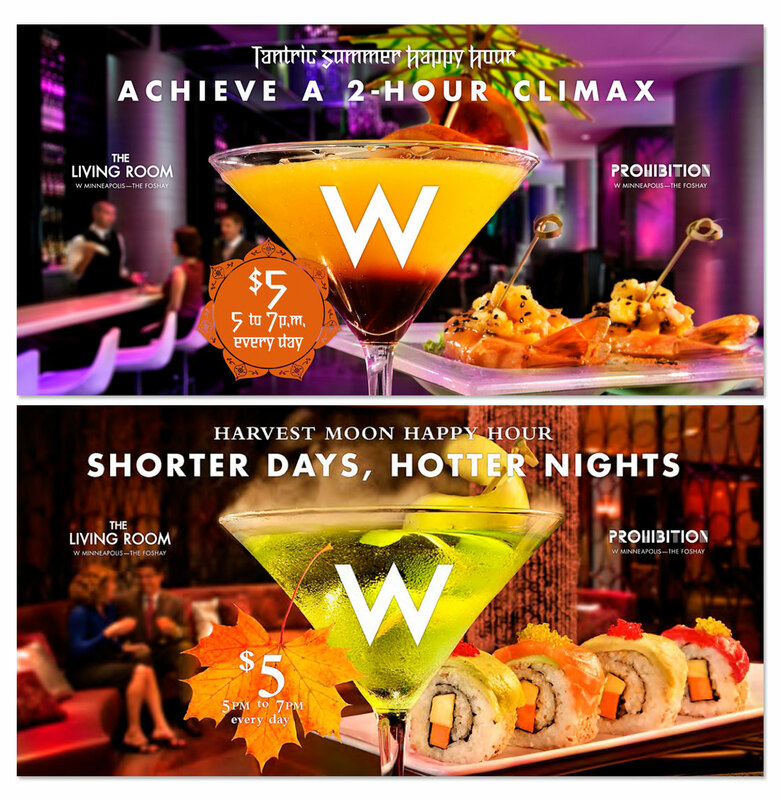 Located in the Twin Cities’ Art Deco masterpiece, the Foshay Tower, the intimate, wood-paneled Prohibition lounge on the 27th floor of the W Minneapolis hotel is a speakeasy in the sky, while its main floor sibling, The Living Room, draws a more diverse crowd of visitors and locals, from afternoon Happy Hour devotees to late-night clubgoers. 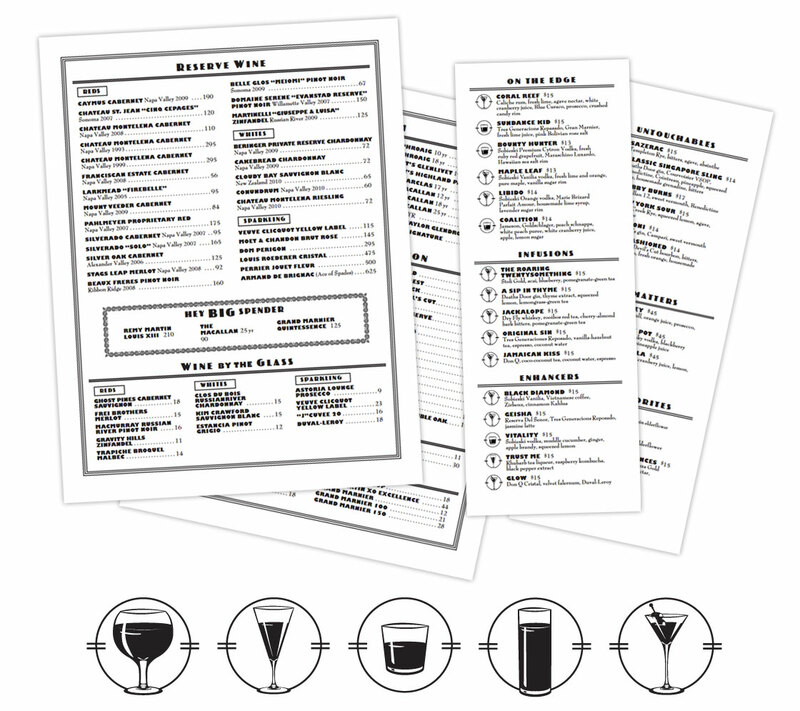 The menu designs for Prohibition (and also The Living Room) answer a common question of cocktailers: How is this drink served? 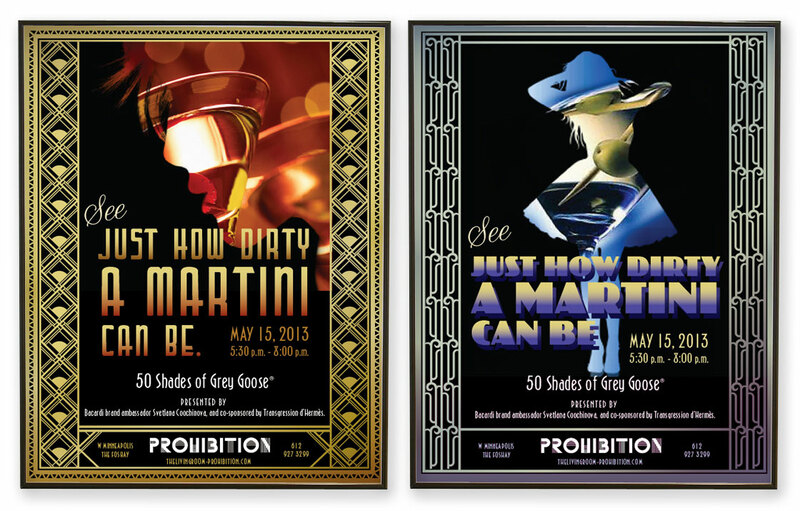 These designs served as templates for Prohibition lounge to create its own promotional posters, advertisements, eblasts and check presenters. We created a series of four designs, each employing patterns that referenced the ornately detailed 1920s-era elevator doors through which patrons pass to enter the lounge. 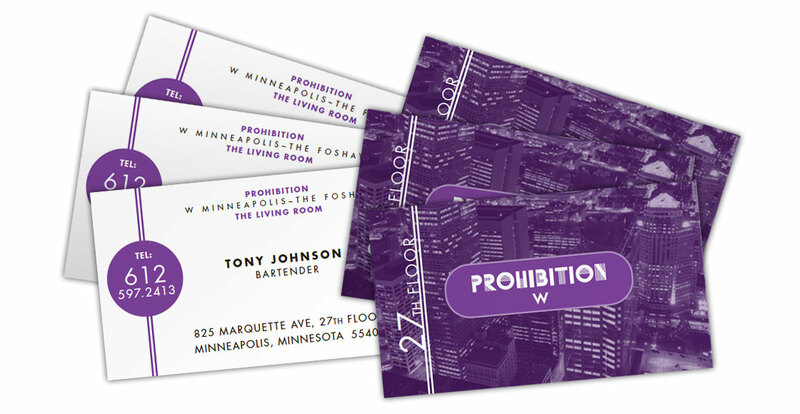 Gift Cards for the lobby-level Living Room and 27th floor Prohibition lounges reference the establishments’ positioning as destinations both for cocktailing and nightclubbing. The bars promoted their seasonal happy hours via ads, emails, postcards and these Duratrans located throughout downtown Minneapolis’ extensive Skyway system. 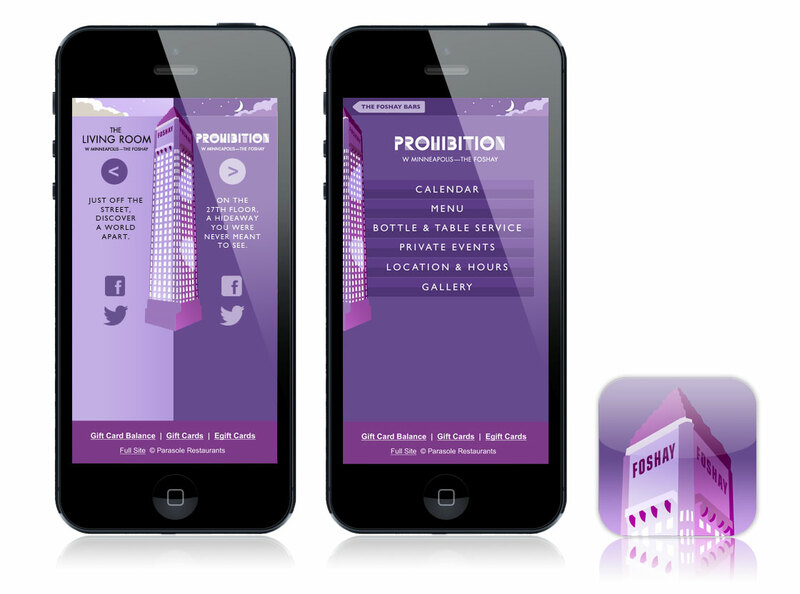 While Prohibition and The Living Room are distinct operations, they share certain features. 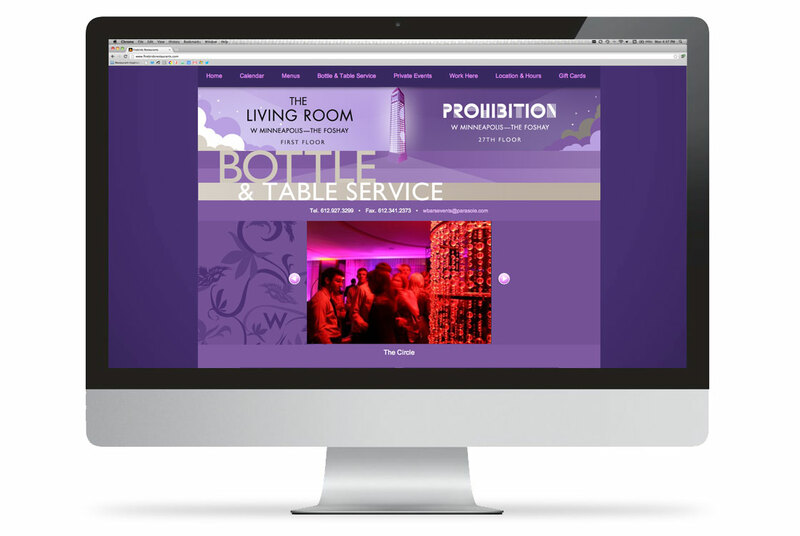 The website includes information unique to each bar, while centralizing offerings such as private dining and bottle & table service.